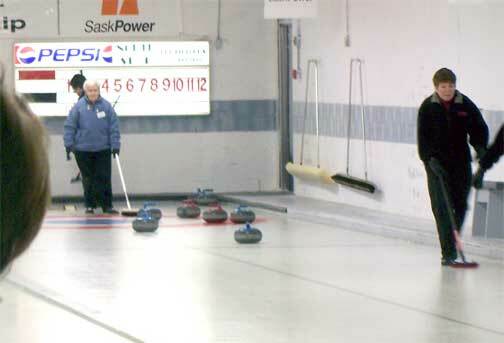 Absolutely perfect curling conditions were the order of the day for the SaskPower Natural Ice Championships as they took to the ice Friday evening in Weekes Saskatchewan. Ice maker Tom Lindenback and his team had the ice and the outstanding facilities at Weekes in top form for the event. We stopped in Saturday morning to see how things were moving along in the eight game play down. But before we mention the curling when you go to Weekes the main event is not the curling it is the incredible hospitality and so first off I ordered up coffee and a smoky with onions and wished my diet could have afforded one of the fabulous pieces of pie ready for lunch. 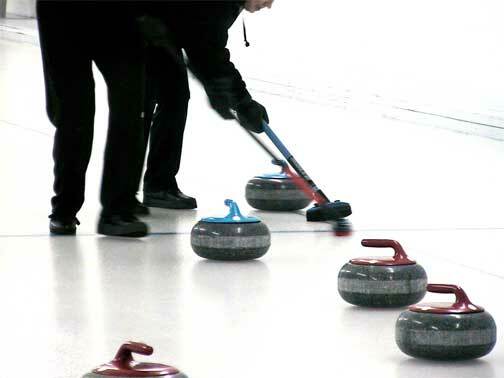 few rocks going out of play as each team gradually filled the house each end in the subtle draw game that makes modern curling a game of skill and strategy. 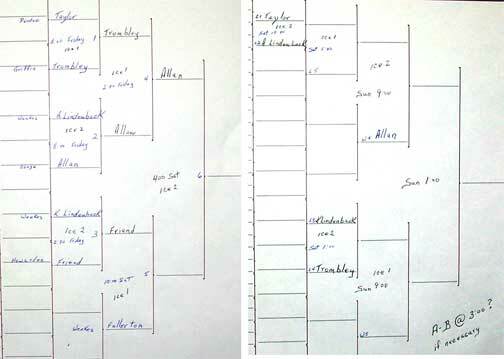 The draws are shown here with the game we were watching at the top of the right hand draw. As you can see when it came to skip rocks the guards and tricky placement of counting rocks made for complicated precision shots and this is where the outstanding quality of the ice surface kicked in as the teams could rely upon the ice curling and their sweeping having affect. Ardith is the Post Mistress in Weekes and is seen here about to deliver a shot that allows her to steal two on this end and on the following end she and her team mates grabbed a four ender. 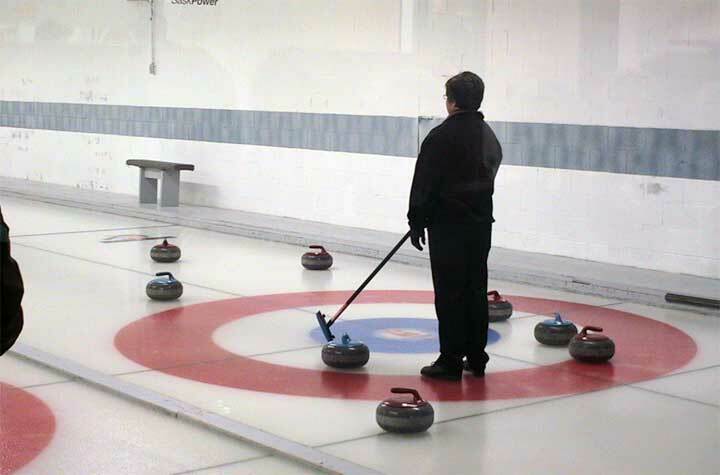 Using the techniques of the present day there is little difference in curling on natural and artificial ice. With artificial ice the ice maker uses the plant to maintain that critical ice temperature that makes a perfect playing surface. 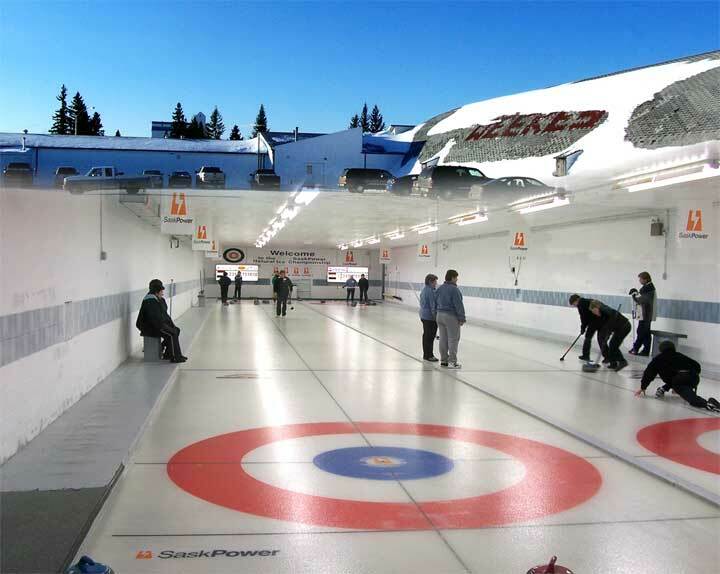 With natural ice the ice maker has to balance the atmospheric temperature by adding heat to the curling rink to offset the exterior temperature. Its tricky with natural ice but as you can see here the results are remarkable. 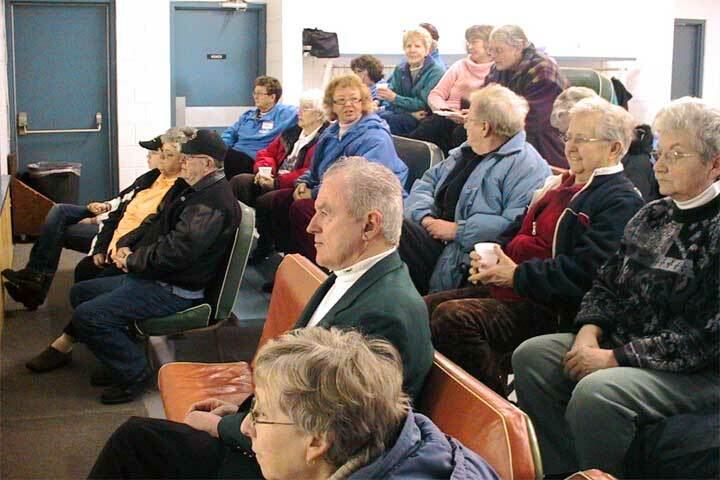 Weekes had a long and illustrious curling tradition and in the mid 70s when we lived in Weekes the curling club was a thriving operation much as it is today. 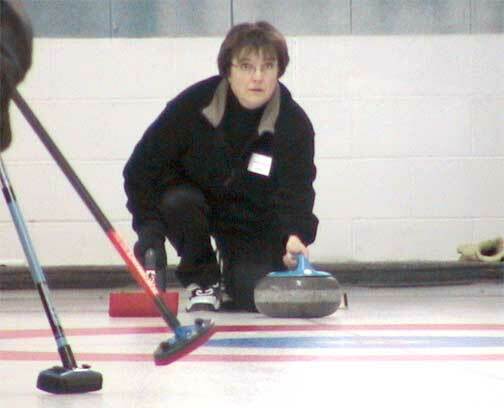 In the 70s we still used corn brooms and fooled around a lot but my fondest memories on the curling ice were in Weekes. The old rink in the village was taken down decades ago and this facility was added to the skating rink and town hall with an excellent kitchen and of course, the volunteers who are always there to make every event a success. There is no question that Weekes was having a great weekend with the provincial championships in their facility.